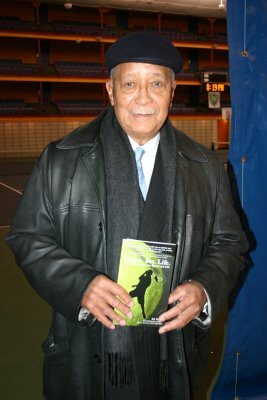 Former NYC Mayor David Dinkins shows his “Game. Set. 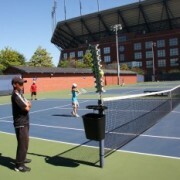 Life.” spirit at the Harlem Junior Tennis and Education Fundraiser. Yesterday, I stopped by their annual fundraiser to donate a copy of my book to the program and to take some photos and interview some people for my blog. The fundraiser included a one-hour junior clinic, a cocktail reception, with silent and live auction and a celebrity exhibition. James Blake was there. Justin Gimelstob was there. 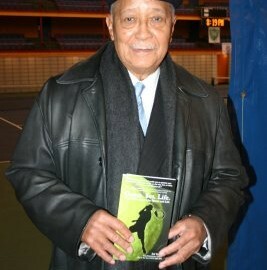 Bob Ryland, the first black professional tennis player was there. Former NYC Mayor David Dinkins was there. I spent some time with each of these great individuals. I asked James Blake how he felt about the event and program. *Note: James and Thomas Blake both went through this program and went on to Harvard. ATA (American Tennis Association), which was for black tennis players. At age 14, the great Arthur Ashe said, “I just want to be as good as Bob Ryland.” Ryland has coached the Williams sisters, Bill Cosby, Tony Bennett, Barbara Streisand, and Dustin Hoffman, among others. I asked him if he thought the Williams sisters were more talented than everyone else and Ryland responded, in his soft voice, “I don’t think they were more talented than everyone else, they just worked harder.” Ryland feels that the Harlem Tennis and Education Program is a great opportunity for the kids and it gives them options that he never had growing up. Also participating, were Thomas Blake, Kristie Ahn, Gail Brodsky, Gail Marquis, of the silver medal 1976 US Basketball team, and David Graham. I left the event inspired, motivated, and in awe because I gave James Blake, Justin Gimelstob, Katrina Adams, Bob Ryland and Mayor Dinkins my autograph (inside “Game. Set. Life.”). 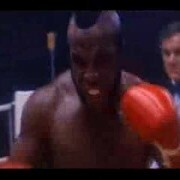 BE SURE TO CHECKOUT “GAME. SET. 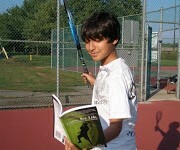 LIFE.” IN THIS MONTH’S ISSUE OF INSIDE TENNIS MAGAZINE (p 34).